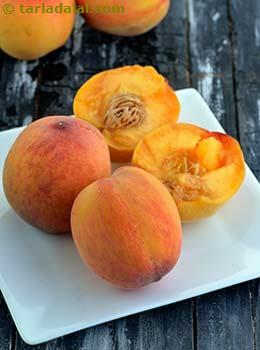 With red, pink, yellow, white color or combination of those, peach is a delicious fruit with distinctive pleasant smell. The glycemic index of peach is estimated to be around 28 which relatively comes under low GI category making it suitable for people with lifestyle diseases. The glycemic load of peach is around 3, thus considered as low glycemic load fruit. Is Peach Safe for Diabetes? Peach is indeed a safe option for diabetics as it is very low in glycemic index which will not raise the blood sugar levels rapidly. It is also considered as a good source of potassium and is very low in fat which adds on to the benefits for diabetic population. Is Peach Safe for Weight Loss?